Celebrate someone's special day with the Steel & 9ct Rose Gold Happy Birthday Charm. Handcrafted in Italy from polished stainless steel, this Classic Nomination charm has a plate of 9ct rose gold featuring the words 'Happy Birthday'. 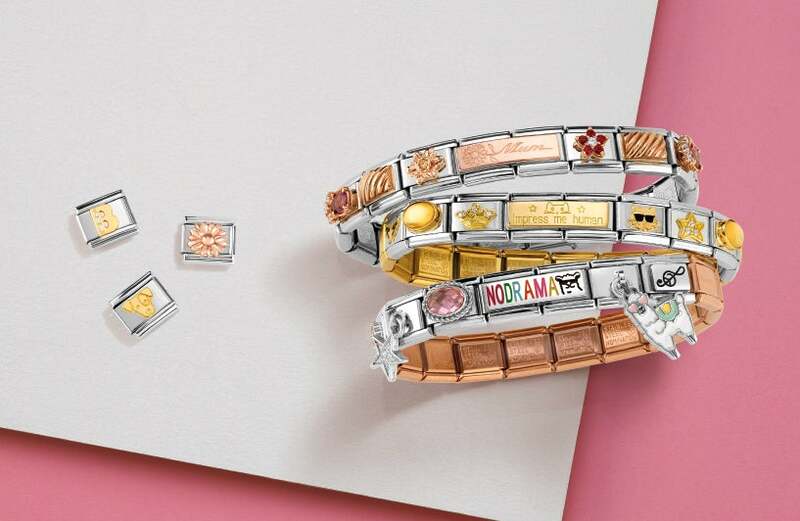 https://www.johngreed.com/nomination-steel-and-9ct-rose-gold-happy-birthday-charm 131394 Steel & 9ct Rose Gold Happy Birthday Charm https://www.johngreed.com/media/catalog/product/n/c/nc5433_0_1.jpg 15 15 GBP InStock /Women /Women/Charms /Women/Brands/Nomination /Women/Brands/Nomination/Nomination Charms /Women/Gifts/Occasions/Birthday Gifts /Women/Rose Jewellery /Women/Gold Jewellery /Women/Gifts /Women/Gifts/Occasions /Women/Brands Celebrate someone's special day with the Steel & 9ct Rose Gold Happy Birthday Charm. Handcrafted in Italy from polished stainless steel, this Classic Nomination charm has a plate of 9ct rose gold featuring the words 'Happy Birthday'.